Setting career goals is the first step which leads to achieving your first step towards success. In order to put your life to real action mode, setting career goals are mandatory. When a person lays clear goals and objectives, then the person may gain ultimate satisfaction in their career and have the opportunity to progress in a quick manner. Experts on the science of success are aware that the brain is a goal-seeking organism and your subconscious mind would accept and work on the goal, day and night. It is hence mandatory to set career goals, let’s go through a few pointers which show the important career goals every person should have. Career planning and writing down one-year career objectives and goals is a suggested idea. The main reason for this suggestion is that this is the initial time frame where you need to plan and hit. There are many people who set goals for months and years but what do they do and achieve is always a question. Hence goal planning for a year with dedication and hard work is important. It is equally important to know your one-year achievements so that you’re able to move forward with your career goals and aspirations without hassles. Once you have penned down your one-year achievement plan, it is time to set your career goals for five years. The main reason for setting a career goal this far out is that individuals do not have to rush to achieve their goals. There are many people who do not understand how difficult it is to achieve any career goal and hence it is suggested to take time in order to achieve good career goals. It is always a good idea to set the bar high so that for many of the achievements, individuals do not have to hold back any aspects. Setting career goals to reach a certain financial status are also important, where individuals need to think what they require earning per hour. Goals should be set to know where individuals would stand in financial status after 6 months. It is mandatory to pen down what you get paid for hours and what you gain at certain points. By this way, you are able to monitor your financial travel and you obtain a reminder for a raise. It is important to monitor and set goals for a financial status in order to make your financial status a well-being aspect. With the numerous career goals, every professional would be eager to become the subject matter expert or SME in their field. This is a long term career goal and must be targeted by the employee in order to become an expert. This career goal requires more time and learning the process. Ones who enter into a new career can set this career goal in order to gain more knowledge and grow with the organization. Almost all employees who work in an organization should set a goal to reach the top position in the organization. By this way, they are able to achieve small successes and achievements which lead them to long-term goals of reaching the top position in the organization. Employees always think what is best for them rather than what is best for the organization. So, it is advised not to let open up your career goal to your boss initially. With the many career goals, a career change can be the aim for employees who are not happy with their present job or career field. Employees who have the intention to get to foreign countries and work there can set career goals to change their career. An employee can switch their career with his previous experience in the industry and move forward with the goal. There are many employees who desire to sharpen and enhance their knowledge with the current trend by pursuing further education. Employees these days set their career goal to study and gain additional degree so that they are updated. For example, a management professional can set a career goal to get a management degree so that he gets specialized in appropriate areas of management. A professional would have contact with a number of people within the industry by means of a number of social and industrial events. Certain employees have career goals to maintain a wide professional network. By this way, the employees have contact with their career related professionals and maintain a healthy working relationship with them. For this an employee should have a LinkedIn profile with about 500 professional contacts. Employees should have career goals to grow in career resources and knowledge so that they offer to the business or client. In order to grow as a professional, the employee should make up their mind to grow their resources and knowledge as a professional, in order to reap success. A mandatory requirement for any individual is the satisfaction that he gains in his profession. This does not intend to block your enhancing process or stop experimenting, it is that the employees should make sure that they are satisfied in whatever they do. Almost all employees spend about 3/4th of their life in the professional world. Employees must not only think of career development and progressing and getting ahead in their career but must also think about learning new experiences that come to their professional industry. Employees should have the career goals as to learn new experiences that happen in their professional field. When a new experience is added to an employee, it adds to their richness and knowledge. Another important career goal to be followed by an employee is to be stable in the professional field. Since they work for a stable company, they should concentrate on their career and success of the organization rather than their day to day needs. In order to become a manager or a leader, the employee needs to set a time frame as a career goal. They can become the leader only if time frame is set and followed. After few years the employee would be aware of the art of doing things, the next step employee should follow is to find a pathway in order to become a leader in the organization depending on the resources and skills. Like how money is invested in various nests, the same way resources should also be invested in a second or a parallel career. An organization usually hires the services of the individual which is important for the organization and not the individual alone. As an employee if you decide to invest all the resources in a single place they would never be appreciated profits at the end. Hence, an employee should have a goal to possess a parallel career when chances arise. Deciding to have an own business must be one of the career goals for any individual in the industry. With many years of experience and work in the profession, it is reasonable for the employee to think of starting his own business. When an employee initiates their own business, he is able to put in all the knowledge and expertise and reap their own benefit. 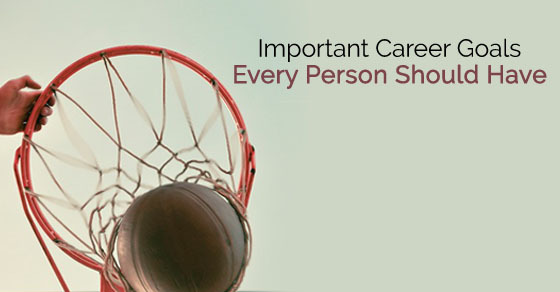 An employee should have a career goal to obtain a second career and maintain it. A second career is mandatory which allows the employee to take risks at times required. The employees can avail opportunities which are disguised as risks free. The employees are also financially free with a second career. Employees who have set career goals should remember to set dates for them. Only if dates are set for career goals would they feel the pressure to achieve the goals, if not they aren’t pressurized and would take it easily. All employees must make sure that dates are set along with their goals so that they work towards it. It is important for the employee to develop a to-do list for every day so that he follows in the right manner. By following everyday list, he would be able to achieve his larger goals in life and career which is already set. In order to achieve goals set by the employee, he requires working every day to win. You must have seen many employees who have career goals to work in a reputed company or with any famed or specific personality in their field. Employees can have such objectives and work towards attaining them. For example, people who work in the software industry would have their career goal to work in Microsoft or Google. In the same manner, film stars would have their goal to work with any famed specific film personality. Many professionals have their career goal to share their experiences in their field with others by ways of writing books or publications. When researchers and educationalist are considered, they consider publication as the main aspect for career advancement. These people have goals about the number of publication they make in their career. There are many employees who work harder when compared to others and also achieve their financial status. These employees have their career goal to achieve all aspects earlier and also retire earlier. These days almost all corporates have their offices scattered across the globe. In that manner, few employees have their career goals to visit each office and learn the way industry runs in that particular place. By this way, they are able to meet new people and new environment. With the numerous career goals, it is important to mention that not all the employees in an organization are dedicated to work. In order to achieve long-term goals, the employee must first be dedicated to whatever work he does. He should be able to deliver quality and accurate work required. Employees should have this in their career goal list. Whenever they undertake any responsibility to do, they should be employees who are expert in that particular work and must be able to handle any hassles that come during the completion of work. This can be achieved by means of experience and knowledge. These are a few important career goals that are needed for any employee in the career. It is a fact that each person is different and hence their career goals would also be different from one another. It is always suggested that employees write down their career goals and work towards achieving them with a specified time frame. There are many people who are dissatisfied with their jobs and their reasons may vary. For the same reason, every individual should possess career goals and objectives so that they travel in a satisfying career path. With respect to the career interest of the individual, they can set their own career goals which they desire to achieve. Hard work and dedication are important in this career path where they battle to achieve their goal. Setting goals can be easy but working towards them is something important and mandatory to reap benefits. Employees can thus run through the above-mentioned pointers and set their career goals to be successful.